Through the mega ‘Belt and Road Initiative’ (BRI), Beijing has moved massive capital in the shape of loans to many countries for infrastructural and interconnectivity projects with the apparent objective of reviving Silk Road and Maritime Silk Road cutting across Asian, European and African continents and CPEC is the flagship project proposed in 2015 within the larger BRI originally involving capital investment of $46 billion which was subsequently revised to whopping $62 billion towards constructing roads, ports, electricity production and industrial zones and other connectivity and infrastructural development works in Pakistan. CPEC has turned out to be a mysterious project shrouded sometimes by allegations of corruption, opacity, and indebtedness from certain quarters of Pakistan and sometimes by applause and lauded for its vitality to Pakistan’s economy. While on the one hand, there are speculations that the Pakistani government under Imran Khan’s leadership would review CEPC, bilateral economic synergies and renewed commitments to the project are witnessed on the other. Of late, a news report about the previous Pakistani government’s unfair negotiation with China on CPEC pushing Pakistan to give away more than it received was turned down by Pakistani and Chinese governments. While Beijing has alerted the Khan’s government to remain vigilant to western media which projected a distorted image of China and its mega initiative, Chinese and Pakistani leaders alike have expressed their solidarity with the project and its intended benefits. In the midst of these clarifications, it is worth recalling that before coming to power, Khan had expressed serious reservations and took to strikes on the issue of Nawaz Sharif government’s alleged involvement in corruption and lack of transparency in the negotiations on CPEC. When Khan came to power, many believed that he would review the project and bring in more transparency given his rhetoric on corruption, economic crisis and employment opportunities (Khan promised to create 10 million jobs after coming to power). It was widely believed that Khan, to overcome the problems of corruption and financial mismanagement of the earlier regime, would facilitate thorough investigations into the financial transactions. A piece in the Dawn newspaper noted that the Railways Minister Sheikh Rashid called for an inquiry into a CPEC power project on the ground of corruption and the Khyber Pakhtunkhwa government while rejecting Chinese proposal to include it within CPEC opted for Asian Development Bank (ADB) loans to finance Peshawar bus project. Khan also reportedly called for Pakistan’s legislature’s approval on CPEC projects. In the midst of certain developments that questioned the credibility of CPEC, doubts were never allowed to move beyond a limit, and economic partnership with China was pursued with all sincerity. Pakistan’s Army Chief General Javed Bajwa has reportedly stated to Chinese Ambassador Yao Jing that CPEC is economic future of Pakistan and its security will never be compromised. However, this statement about economic effectiveness of the project by an Army General not only points to the army’s overriding influence over the civilian administration in Pakistan, it also makes a reference to the strategic importance of the project apart from raising serious questions on Khan’s ability to bring in more transparency in the implementation of the plan. Khan has retorted to the news report on Pakistan’s desire to review CPEC not only by alleging it to be false, he reiterated Islamabad’s commitment to the implementation of the project and described its friendship with Beijing as a cornerstone of Pakistan’s foreign policy during his meeting with the Chinese Foreign Minister Wang Wi in Islamabad who was on a three-day visit to the country. It is noteworthy that Beijing attempted to keep the Khan government within its orbit of influence reportedly with a loan of $ 2 billion quickly following Khan’s assumption of power to prevent the foreign currency reserves ticking and avert economic crisis plunging to a level that would compel Pakistan to turn to IMF for loans. It is noteworthy that asking IMF for loans would tantamount to disclosure of financial transactions which would lay bare corruption and opacity dimensions related to CPEC. Khan leadership might have considered it to be prudent to fall back on China for a number of reasons such as current lows in US-Pak relations, army’s consistent support for ties with Beijing and the current visit by the Chinese Foreign Minister must have assured Islamabad of Beijing’s support to wade through the economic crisis. 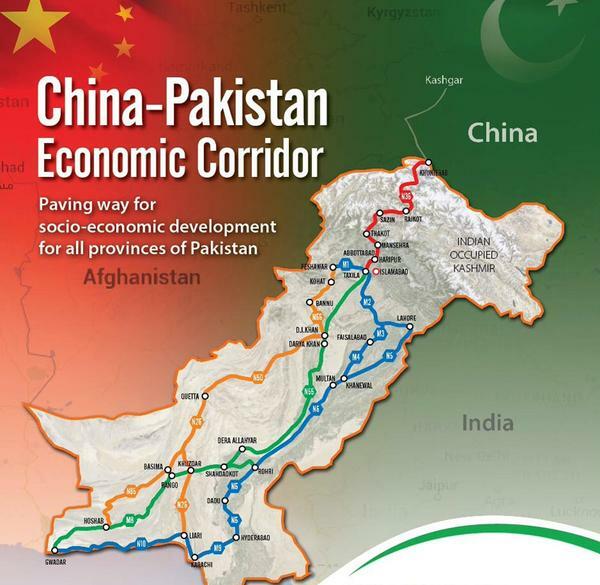 While strategic and political objectives taint perceptions on the economic fallouts of CPEC, news, and reports are galore pointing to various negative aspects of BRI such as the Beijing-led projects are geared more towards benefitting the Chinese economy not only engaging more significant number of Chinese labor in the infrastructural development works but bulk of the raw materials and products necessary for the jobs are sourced from China as well. The participant countries are tasked with undertaking the construction works with Chinese capital available to them as loans. However, it was witnessed that the loans continued to accrue without timely repayments by these capital-starved Asian countries turning them into debt-burdened countries. The states are expressing their inability to repay loans fall victim to Chinese attempts at acquiring immovable and strategic assets. More specifically, BRI has exposed developing countries’ inability to absorb massive loans even though they needed infrastructure and connectivity for growth and development. The way BRI has been pursued has attracted international criticisms and cautions as regards rising indebtedness among countries without accruing significant benefits to the local economy, lack of transparency, disregard for an open and inclusive approach and sustainable financing. India has expressed its concerns regarding BRI’s violation of sovereignty and territorial integrity particularly with reference to inclusion of Gilgit-Baltistan region into the CPEC project without India’s consent which it considers as its integral part although Beijing later clarified that the project has an economic and developmental purpose purely and it did not alter Beijing’s stance on Kashmir (a bilateral issue to be resolved between India and Pakistan). Opposition to BRI has also resonated in some of the Asian countries like Malaysia, Sri Lanka, and Myanmar. Malaysian government led by Prime Minister Mahathir Mohammad reportedly halted Chinese projects involving around $22 billion including a railway link along the country’s east coast. The government of Myanmar reportedly scaled down construction activities in the development of Kyaukpyu port. Similarly, when the Sirisena government of Sri Lanka leased out Hambantota port to China for 99 years under debt pressure, it not only led to criticisms from public within the country but it provided a grist to the brewing western contentions that the BRI is not merely an infrastructural and connectivity project instead loaded with military and strategic objectives.